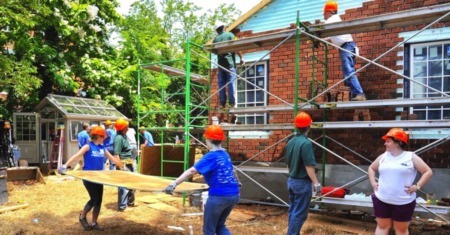 FMLS is one of the two major MLS providers in the greater Atlanta area primarily serving northwest Georgia with a strong presence in Metro Atlanta. 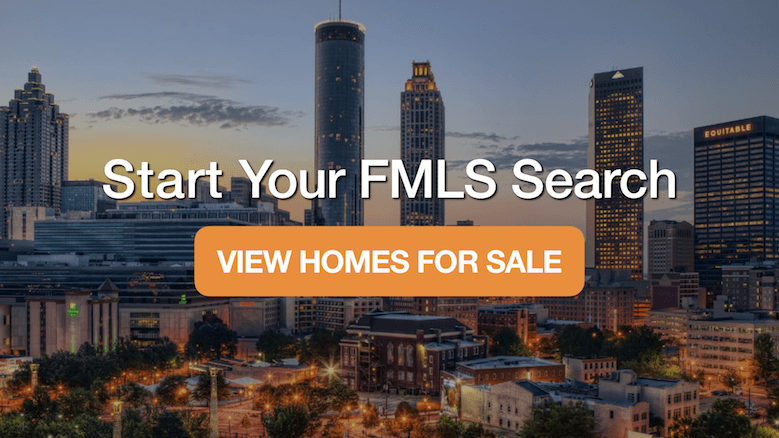 With a member base of more than 2,000 brokerage offices and more than 30,000 real estate agents, FMLS is the primary source of property listings for real estate practitioners conducting business in the Greater Atlanta area. 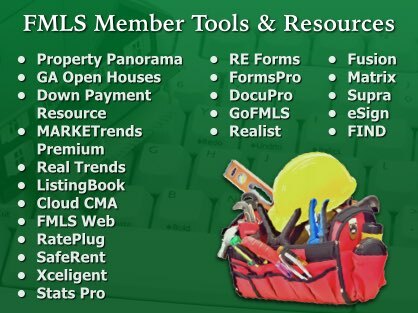 Founded in 1957 by a group of real estate brokers, FMLS has evolved into the dominant listing service in the metro area providing top notch tools, training, technology, service and benefits for member agents and brokers. Membership is required for brokers and agents to post listings and access the tools available to members. Brokers interested in becoming an FMLS member company can submit an online request for a membership package which details the policies and fees for maintaining a membership. There is a one time fee to set up an account and a monthly fee that is based on transaction volume. Training classes provided by FMLS are free for active members and are held at all three Metro Atlanta locations as well as online through virtual training webinars. With dozens of learning opportunities held each month, FMLS strives to provide members with ample opportunity to not only become proficient, but master the many powerful tools and resources available to members. Many of the education classes also qualify for CE (continuing education) credits for meeting state licensing renewal requirements. FMLS has store locations throughout the Atlanta area, allowing members to purchase merchandise, activate SURPA lockboxes and get all the resources needed to conduct a real estate business. Headquartered in Sandy Springs, the main office is conveniently located off Roswell road just inside I-285. Two additional store locations in Marietta/Kennesaw (Barrett Parkway) and Duluth (Satellite Boulevard) give members multiple options when service or support is needed. Offices are typically open Monday-Friday (9AM to 4:30PM) not including most holidays. SUPRA office hours are typically from 10AM to 3:30PM. For a full-size interactive Google map of the Metro Atlanta store locations with directions, CLICK HERE. 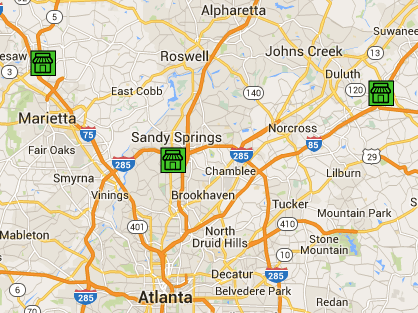 Agents performing a property search use the Matrix platform to locate FMLS listings within the Metro Atlanta area. The types of real estate categories available on the MLS include: residential attached, residential detached, land, lots, multi-unit, rentals and commercial properties. The most common property types found on FMLS are residential detached (single family homes) and residential attached (condos & townhomes). FMLS listings contain all the essential details of the property, along with virtual tours, real estate records, maps, disclosures, tax records and more. Each listed property is given a unique identifying number that can be used to quickly find the listing using an MLS number search. There are literally hundreds of data fields that can be used to narrow down listing results and create saved searches. These fields include filters for listing criteria such as: location, price, style, size, age, amenities, schools and much more. In addition, the advanced Atlanta MLS search integrates with other tools, providing agents with access to massive amounts of real estate data. Key partnerships with leading 3rd party providers give agents, seamless access to home value estimates, market trend reports, and historical sales information. This enables agents to elevate their knowledge of the local housing market and provide even more value to their clients. 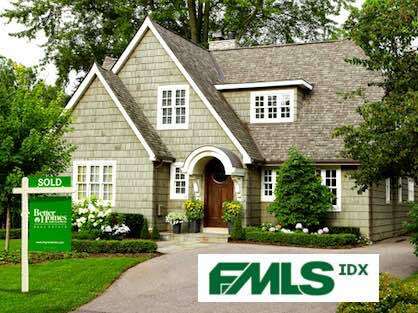 When searching for nearly any type of residential real estate in the Atlanta area, users will want to be sure to use an FMLS IDX website such as MetroAtlantaHome.com. IDX stands for internet data exchange, meaning the site has been approved by the MLS board to display homes for sale by other brokerages that are also members of FMLS. MetroAtlantaHome.com's free FMLS search tool gives consumers access to the most up-to-date listings, featuring: large photos, detailed descriptions, community statistics, integrated mapping, bird’s eye view, tax information, and the ability to save searches and favorite homes. With dozens of search filters and map modes, MetroAtlantaHome.com makes browsing the MLS fun, and finding the perfect home easier than ever. 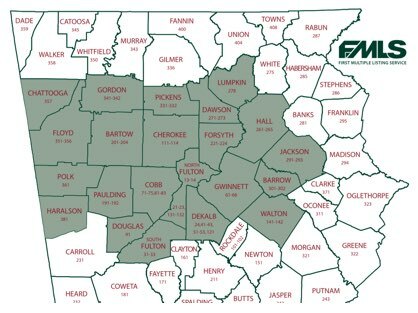 Although the area served by FMLS technically covers the entire state of Georgia (and even extends into neighboring states), the primary service area is comprised of 22 counties in greater Atlanta. CLICK HERE for the full-size coverage map of compulsory service areas. Principal members of FMLS are required by MLS rules to list all exclusive real estate listings in the shaded counties (compulsory areas) on the map. You’ll typically find less FMLS listings outside of these exclusive areas since they usually fall into the primary service area of another MLS such as Georgia MLS (GAMLS). The FMLS coverage map is broken up into different areas, the areas are used to easily identify various geographic locations throughout Georgia. FMLS areas give agents a more accurate way to search properties in a certain location which is especially useful when multiple zip codes are present or when city boundaries and unincorporated areas create problems when searching by city. Currently, the area numbers start at 13 and go up into the 900’s. There are gaps in the numbering system most likely designed to allow for future subdivision of areas once listing density levels make it necessary. View the map of Georgia with FMLS area line overlay to get an idea of how the numbering system is used. 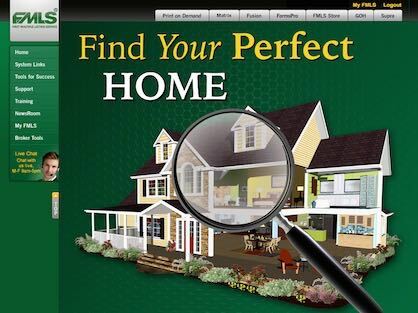 Launched in July of 2013 by CoreLogic, GoFMLS is the official mobile search app of the First Multiple Listing Service. Designed as a replacement for Kurio, a web based app that never really took off due to its limited functionality, GoFMLS is an easy to use mobile alternative to the desktop platform. Available on both iOS & Android mobile operating systems, the app provides on-the-go access to many of the same home search tools offered by the desktop platform such as: photos, property details, maps, history, tax records and more. In addition, the app allows users to draw a search location on the map to view matches within bounds or use GPS to find nearby properties within a specified distance. The mobile app can be downloaded from the Apple app store or the Google Play store for free and does not require a login or password to use. Real estate agents that are FMLS members can use their login information to access additional features on the app not available to the general public. 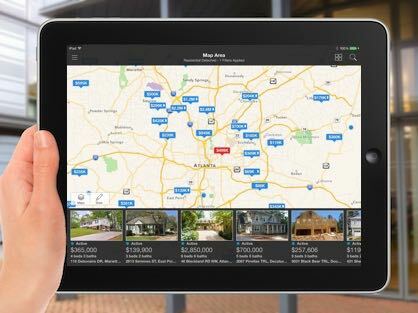 Ultimately, this app gives both agents and consumers an easy way to search MLS listings in Metro Atlanta without all the ads and inaccurate results commonly found in mobile real estate search apps. Real estate agents that are members of FMLS have access to powerful tools that help facilitate the home sale process from beginning to end. Here is a list of some of the advanced technology available to member agents. Matrix - A lightweight web-based property search platform provides real estate professionals with field based home search capabilities. Forms Pro - The complete set of all real estate forms available to member agents in digital format. Allows for creation of folders for specific clients/transactions, quick print forms, dual entry forms (GAMLS) and easy integration witheSign. e-Sign - Digital signature platform enables real estate professionals to quickly get electronic signatures on documents that are legally binding and offer users a superior level of security. Docupro - An online file management system for storing, tracking, and sharing transaction documents. Realist Tax Records - Integrated tax records search for nearly 50 Georgia counties, including those in Metro Atlanta. Provides access to information from public records including: property details, mortgage & home sale history, market trends, foreclosure data and property value estimates. FIND - Real estate search platform, providing agents with MLS listings, local data and public records for nearly any property located in Georgia, as well as the US. MarketTrends Premium - Metro Atlanta real estate sales data and analytics reports. View, print and share interactive charts with multiple data sets displayed in easy to consume color coded charts. County, city and zip code level data can be segmented by property type and characteristics. FMLS Stats / Stats Pro - Real-time statistical reports from custom property searches using sold listing data. Multiple report views with integrated charts & graphs provide market trends such as average sale prices, price per sq/ft and DOM for selected properties. CMA Builder - Quickly build and export a branded CMA using MLS & non-MLS listing data. Agents have full control of the comparable property selections & pricing adjustments to create a detailed custom home value report. The Matrix platform was designed to give users a multi-device compatible real estate search program that would load quickly and provide all the functionality needed by today’s agents. Compared to Fusion, Matrix is much lighter (less graphically intensive) and not designed on the Flash platform, therefore it is fully compatible with many more devices. A customizable dashboard page gives agents the ability to choose which modules they want displayed on their main page, from the market watch snapshot & statistics reports to hot sheets & integrated contact management; Matrix makes finding all the essentials quick and easy. 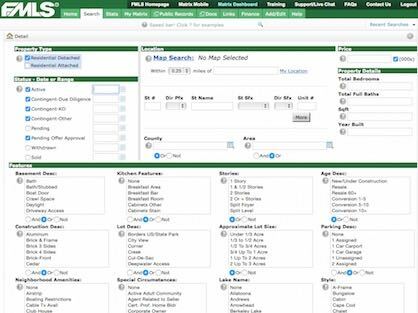 The default residential home search tab in Matrix allows agents to filter listings using dozens of standard fields with the option to add additional fields of the agent's choosing for both residential attached and detached properties, all within one search. A map view option plots search results on an interactive map which allows users to zoom in and out, draw refined search areas and quickly view basic property details for current matches. Listings can be sent directly to clients from the search results or used to create an auto email that will notify assigned contacts of future matches as they become available. The eSign system is an extension of FormsPro that enables agents to collect digital signatures on forms and contracts that are legally binding. Getting signatures from all parties on contracts is process that previously required agents to constantly print, fax/email and reprint documents. Now this process can be completed with a few simple clicks in a matter of minutes without ever printing a single page. This cutting edge technology not only reduces paper waste, but also increases efficiencies & creates contracts that are much easier to read. 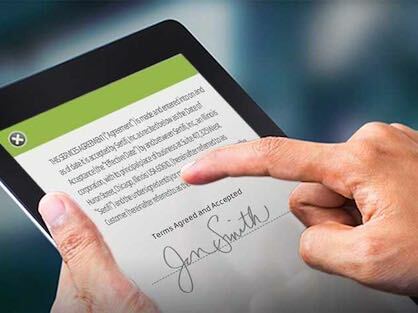 The eSign platform is easy to use and allows signatures to be digitally signed & verified from desktop computers, tablets and even mobile phones. Through the user interface, agents can upload transaction documents, create & manage contacts and view updates on pending signing sessions. By using the eSign platform agents can get signatures from buyers, sellers, cooperating agents and anyone else involved in the real estate transaction. All parties can rest assured that signatures are secure, encrypted and legally binding. FMLS.com - Member broker/agent login page and contact information for the First Multiple Listing Service. GeorgiaMLS.com - The official Georgia Multiple Listing Service (GAMLS) website for agent and consumer property searches & real estate information. GeorgiaOpenHouses.com - Search upcoming open house listings by date, property type, location and more. SUPRAekey.com - Official SUPRA lockbox website with agent account login page, tutorials and access to technical support. ListingBook.com - Agent/client advanced property search & collaboration platform with real-time FMLS updates. PropertyPanorama.com - Official FMLS virtual tour provider, slideshows & videos for all MLS listings.